When selling your home, there are three key strategies to a successful sale of your home. What are the three key strategies? And, you cannot implement just one or two of the strategies without the other(s) and expect to achieve to sell your home quickly and for your desired sale price. Everyone wants to get the highest possible price for their home, though some approach setting the list price unrealistically. They list it at what they want to get, not what the market will bear. A home is worth only what someone is willing to pay for it. The best thing you can do is to engage a real estate agent rather than trying to sell it on your own. A professional real estate agent knows the local market and what similar properties have recently sold for. They also know what properties in your condition have sold for. What are the benefits of PRicing your home correctly? Over 90% of home buyers start their search on the Internet, so it’s important that your home be found, and once found, it is displayed attractively. Again, using a professional real estate agent will increase the likelihood of both your home being found and that it is listed online in a way to attract buyers. Be sure to ask them for their marketing plan, which should include more than how it is listed on the internet. So, you’ve priced the home properly and your agent comes up with a great marketing plan. But what is going to create that powerful emotional connection a buyer feels when they walk in the door and just have to have it? They picture themselves and their family living there. They want to live the lifestyle you’ve portrayed in your home. Let’s face it, most buyers are trading up, not down. This is where they want to live instead of just “this is a nice room”. What’s an emotion you don’t want to evoke? If your home doesn’t look good to begin with, the best photographer in the world is not going to be able to mask that. And even if they can somehow enhance the appearance of your home with their photography, once a buyer steps in the door and sees it doesn’t look (or function) like what they saw in the photos, you will lose him or her. Really, the sales process starts with home staging. By staging your home (PResenting it at its best), your photos will look great online which will help get buyers in the door (PRomoting it properly). Home staging can even increase the list price and ultimate sales price of the home (PRicing it properly). © Copyright 2012 Designed to Appeal, LLC. All Rights Reserved. About the Author: Donna Dazzo is president and owner of Designed to Appeal, a home staging company serving New York City and the Hamptons. Designed to Appeal helps homeowners and real estate agents sell homes quickly and profitably, by expertly creating an environment that buyers want to live in. Designed to Appeal also helps homeowners not looking to sell with interior redesign, which involves using mostly what the homeowner already has. Donna writes frequently on home staging and interior decorating and design topics. 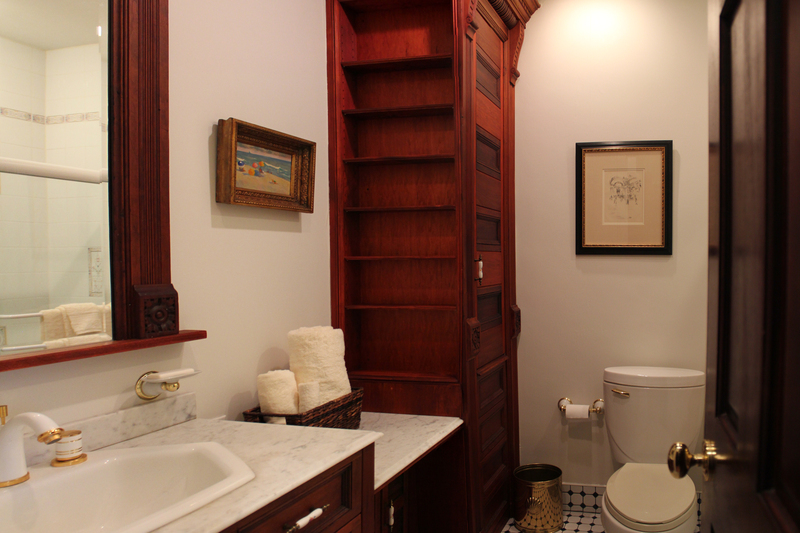 Are there inexpensive ways to make a bathroom show better when you are selling your home, without a renovation? In fact, when someone is selling their apartment or house, I don’t recommend a renovation as the buyers would more likely want to renovate for their own tastes and preferences. So the objective becomes removing the “ick” factor. What can we do to spruce up and update this space so that the condition and datedness don’t turn off a buyer? 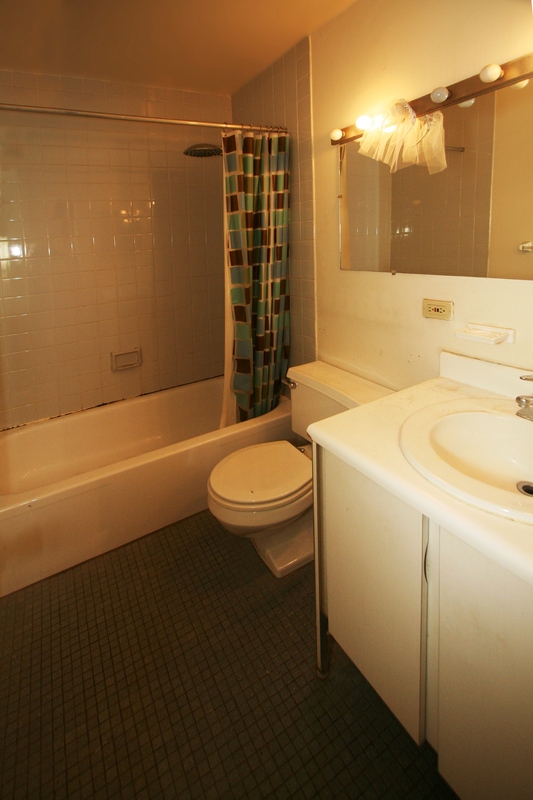 We want to get past the buyer turn-off and at least get the bathroom to a condition where the buyer can move in and live with the way it looks for a few months before they tackle the renovation. First of all, bathrooms should be CLEAN. 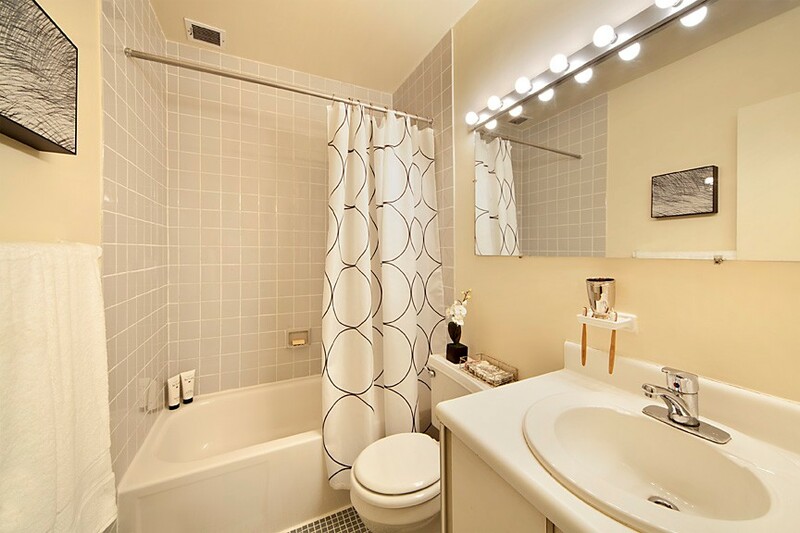 I always tell my sellers to envision a hotel bathroom: it should be sparkling clean and free of any personal toiletries, shampoos, children’s bath toys, etc. when showing the home. You don’t have to shop at high-end specialty stores for these items. Try a Home Depot or Lowe’s. The next biggest impact is to paint the walls. Paint always freshens up any space. But if the tiles are white, don’t paint the wall white. Choose a color that will add some contrast but is neutral such as pale gray or warm beige. And it there is wallpaper, remove it. And if you are going to paint the walls, consider removing those large, frameless mirrors that span the length of the vanity. These are dated, and smaller framed mirrors are more in fashion these days. And if you’re not painting the walls and don’t want to remove the mirror, it can be updated by placing trim around it to give the appearance of being framed. Then tackle the tub area. If the tub is in poor condition, or of a dated color, it can be re-glazed by a professional for $400 to $500, much cheaper than removing and replacing the tub. Often the grout between the tiles surrounding the tub is mildewed or crumbling. A re-grouting can do wonders and make this area look like you just had new tile installed. Also, removing old and moldy caulking at the top of the tub where it meets the tile, as well as where it meets the floor and re-caulking can give a fresh and clean appearance. The sink, vanity and vanity top are additional areas to consider having a big impact if they are dated. Depending upon the price point of the home you are selling, at the low end you can replace the entire unit for about $500 by buying one at the big box home improvement stores. Or if you have an outdated oak vanity, painting it in a darker color with a semi-gloss finish, and affixing new hardware will go miles towards an updated look. 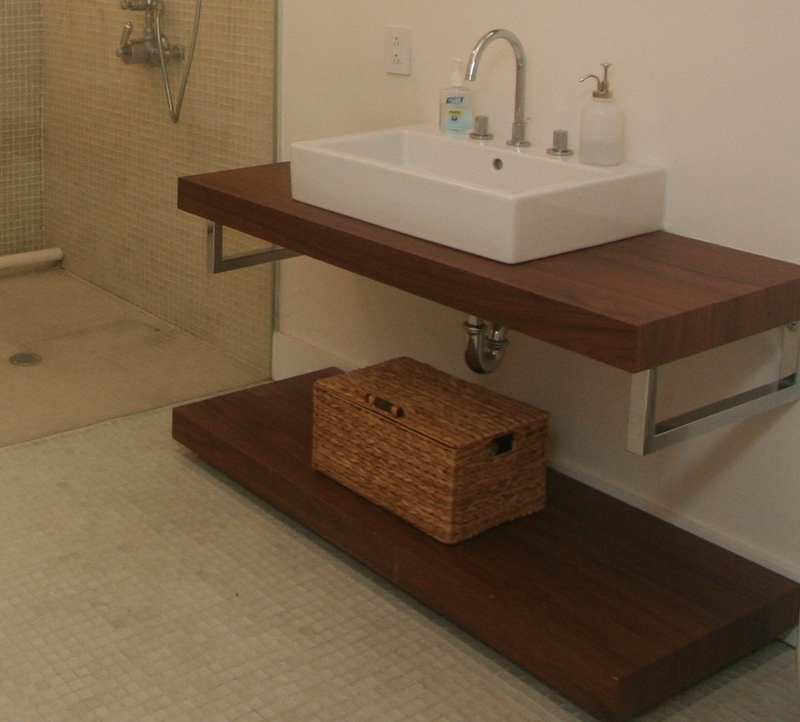 You can also just replace the vanity top, some of which come with a sink, for a few hundred dollars. No need to replace the toilet usually, however replacing a well-worn toilet seat is a must! In some cases where towel bars and toilet paper holders are affixed to drywall, rather than to the tile, these can be changed out as well. Then of course there are the finishing touches: new shower curtain and hooks, bath rug, and fluffy bath towels; artwork; matching accessories such as soap dishes and wastebasket; bath oils and soaps placed strategically in a tray or basket with rolled up towels and a loofah or back brush; and a potted fake orchid. You want buyers to feel like they’ve walked into the closest thing to a spa and imagine themselves enjoying that space. Generally, pictures should be hung at eye level, but whose eye level? Hang it so that the center of the picture is at 5’8″ to 5’10”. 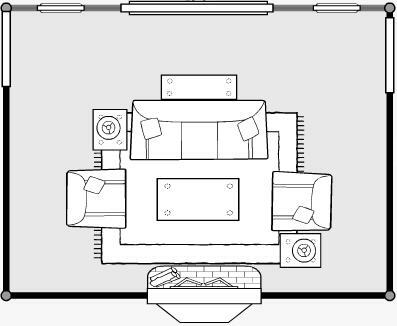 The height at which it should be hung should relate to the height of the furniture (and the objects on it) and not be hung too high. Otherwise the artwork will look as if it’s floating. Hanging artwork too high is one of the most common mistakes made. The width of a piece of art or group of pictures should be a minimum of 2/3 the length of the piece of furniture it is hanging over, and should not be wider than the width of the furniture it is hanging over. The size of the piece of art or group of artwork should relate to the size of the wall on which it is hung. If hanging two or more pictures next to each other, the ideal spacing is 3 to 4 inches between them but no more than 8 inches. Use a laser level to make it easier to hang pieces side by side evenly. A laser level, which can be found in national chains such as Home Depot or Lowe’s, is placed against the wall. It emits a red laser beam along the wall so that you can find the spot to place your hook or nail, once the liquid in the bubble is at its level position. While a laser level makes things easier, make sure that the pair of same-sized frames have their hooks and/or wires in the same spot. Unfortunately, this is not always the case. If they don’t, then use the laser level to make sure the top of the frames are aligned, then measure down from the top of each frame to determine where you should place the nail or hook. If hanging a group of pictures of different sizes, lay them out on the floor first for the optimal arrangement. There aren’t any rules here, but the arrangement should appear cohesive and balanced. You can also trace the arrangement on a very large piece of paper and then hang the paper on the wall as a guide for placement. Use the proper hardware for the type of wall (e.g., sheetrock vs plaster) and the weight of the picture. Use adhesive anchors like ZotsTM on the back of each corner of the frame to ensure that the picture doesn’t move. If you are staging your home for sale, it is best to stay away from nudes or other artwork that might offend a potential buyer in the target market. 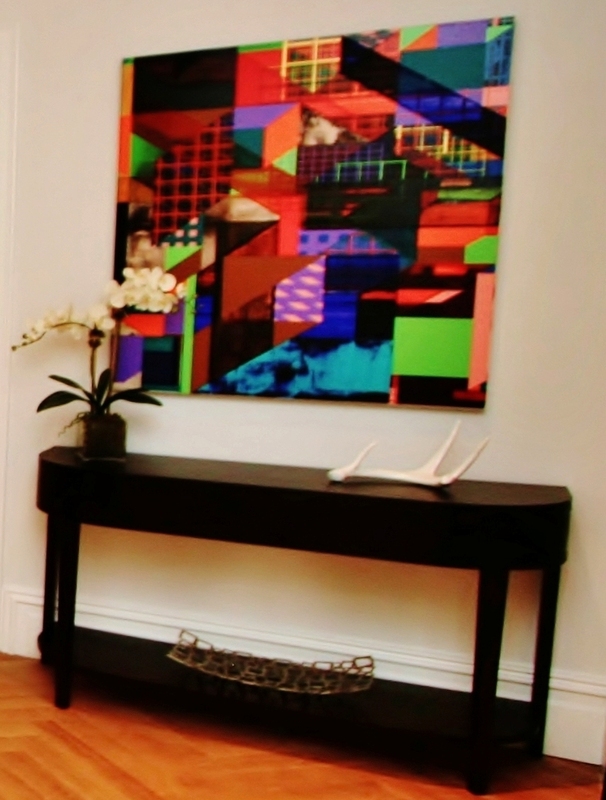 Use art to bring some color into an otherwise neutral room. Or if you are afraid to use too much of a bold color in larger pieces in the room such as bedding or the fabric of a sofa, you can still add this bold color to the room through artwork. If hanging art on a wall with busy wallpaper, make sure they art you have chosen has a simple pattern and/or lots of white. The pictures in a room should relate to one another in style. For example, traditional botanical prints and abstract paintings don’t really go well in the same room. 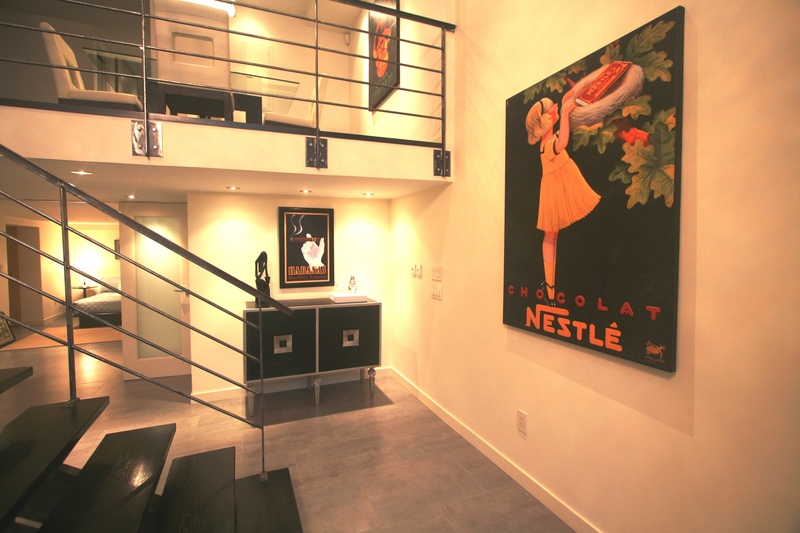 Placing art vertically can add the illusion of height to a room. 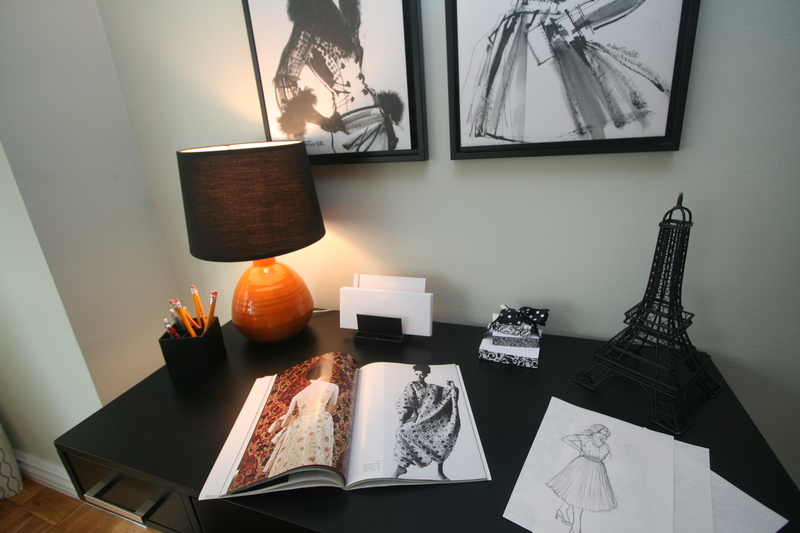 Same with placing art horizontally: it can serve to widen the room. A single large piece of art can have more impact and draw your eye to the focal point of a room more than a grouping of pictures. When hanging a group of pictures on the wall of a staircase, hang them diagonally next to each other. Once you find the optimal placement for one of them, increase/decrease the height of the next one by the height of the step. 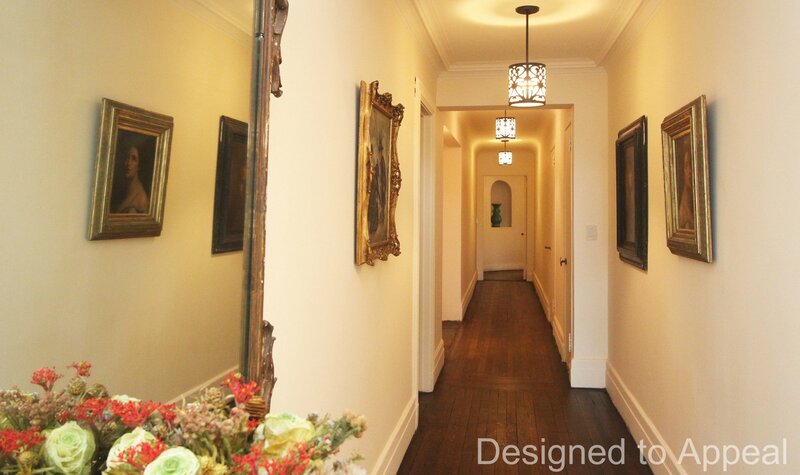 Note: All photos are from Designd to Appeal’s stagings of homes for sale. Did you know that home staging is all about “lifestyle merchandising“? Yes, when you are selling your home, you are actually merchandising a lifestyle to potential buyers. Recently I graduated from an advanced staging course given by Matthew Finlason, host of HGTV’s “The Stagers”. It was an intense, two-day course attended by only a handful of New York City area home stagers. Casting a “wide net” with staging in order to attract the broad range of buyers is a thing of the past. 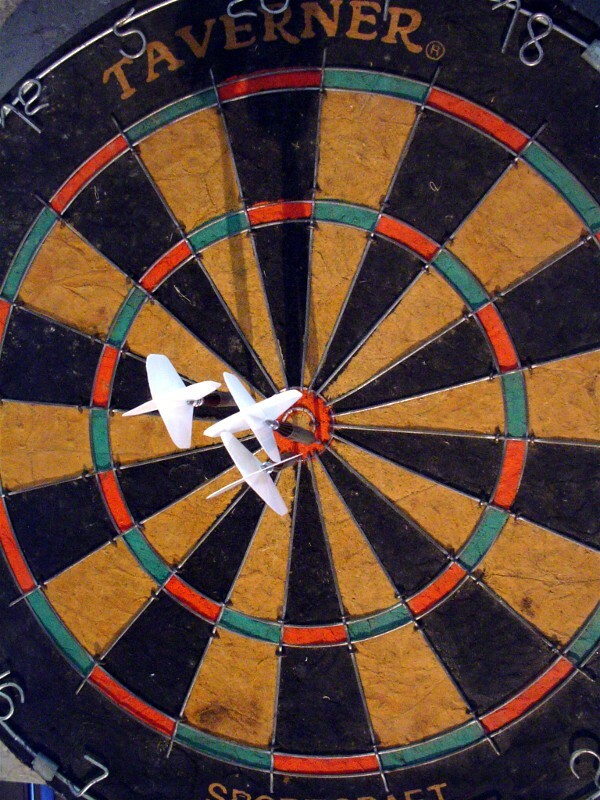 Crafting a “perfect lure” to attract the right buyer with staging represents a paradigm shift. While it’s fine to neutralize a home of its occupant’s personality, don’t sterilize it. Home staging is now known as Target Staging. Before you stage, it’s important to first learn the demographics of the potential buyer (age, income, marital status, etc.). It’s also important to focus on the psychographics of the buyer (the industry they’re in, their leisure time activities and interests, the profile of retailers in the area which will be an indicator of the profile of the residents). Stage this buyer’s dream house with colors, shapes, textures, objects and artwork that will make them emotionally connect with the space. Stage in order to “tell stories” based upon the buyer’s profile. Staging is “lifestyle merchandising” and “dialing in the buyer”. Stage to create a life that buyers can aspire to and relate to. Stage so that your company aesthetic shines through and every staging doesn’t look like every other staging you do. 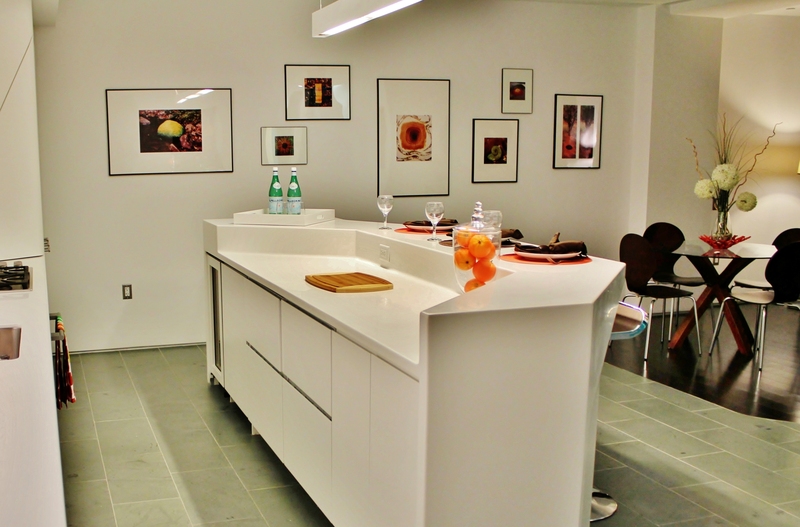 Recently I attended a Color and Lighting seminar for the trade at the Benjamin Moore showroom here in New York City. As a home stager and interior redesigner, I often recommend paint colors to homeowners looking to “stage to sell” or “stage to dwell”. To set up an appointment for a Paint Color Consultation, contact me at donna@designedtoappeal.com. – Keep the “nice” towels, neatly folded, on the towel bars, and hang your towels on a hook or hooks on the back of the door. Remove the latter and put in the washing machine or laundry bin prior to a showing. – Fold the “nice” towels neatly and then roll them up. Store them in a linen closet or under the sink. Then prior to the showing, remove your daily towels from the towels bars; then unroll and hang up the display towels. While not every home seller and real estate agent believes in the power of home staging when selling a home, there are those who do, thanks to the proliferation of shows on television and real life success stories. So, if you have made the decision to hire a professional (and that is a key word, “professional”) home stager, then what should you be looking for? 1. Portfolio – every home stager should have a website (this in itself is something you should look for) where you can view his or her portfolio of homes they have staged. There should be before and after photos for occupied homes and at least the after photos for vacant homes. And make sure it IS their portfolio, not some stock photos they purchased, or worse, photos they have stolen from another home stager’s website (this has been known to happen). While it may be difficult to prove the photos are really the stager’s, one way you might be able to tell is if some of the photos look amateurish and others look totally professional and expensive. 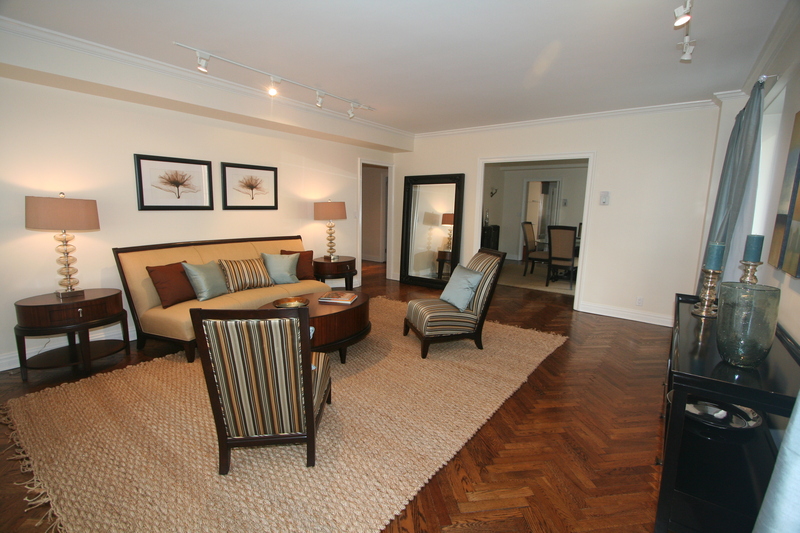 You can also meet with the stager and ask to see their printed portfolio of before and after photos. 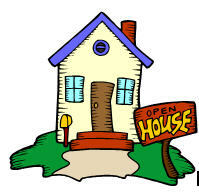 And in particular, ask to see pictures of homes that are in a similar market and style as yours. 3. Decorative Style – one of the goals of staging a home is to make it less taste-specific and less personal, and instead make it appeal to the broad range of buyers. 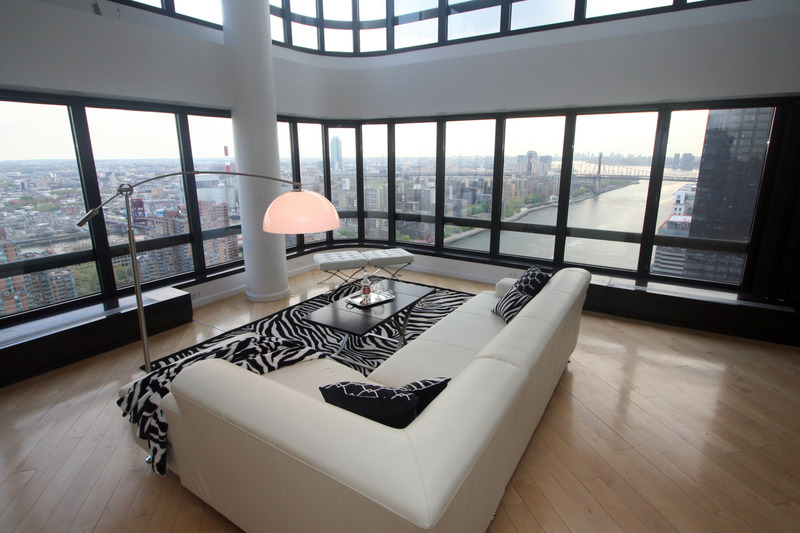 Having said that, every stager usually has some unique decorative style. However, what you want to make sure of is not every home they stage looks just like every other home they stage. Each should be decorated and accessorized for the type of home it is, the location and the profile of the buyer for this type of home. 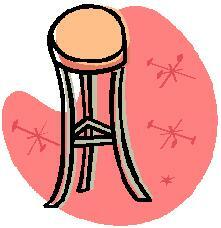 Some stagers have their own inventory of furniture and others use a furniture rental company. The advantage of using a furniture rental company is that there is a wide selection in terms of both price and style. However, some home stagers are forced to use their own furniture because there are no furniture rental companies in their area. So make sure they have an extensive inventory. 4. Education and training – home staging as a profession has a low barrier to entry, meaning that anyone can call themselves a home stager. And don’t be fooled by those home stagers saying they are “certified”. There is no universal certification or licensing of home stagers. One thing you do want to see however, is that they did take some interior decorating or design and/or home staging education as this shows seriousness on their part and a commitment to this profession. 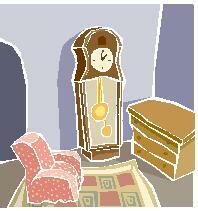 Beware of the home staging hobbyist, e.g., the wife of a friend of yours who likes to decorate. Staging involves much more than that. 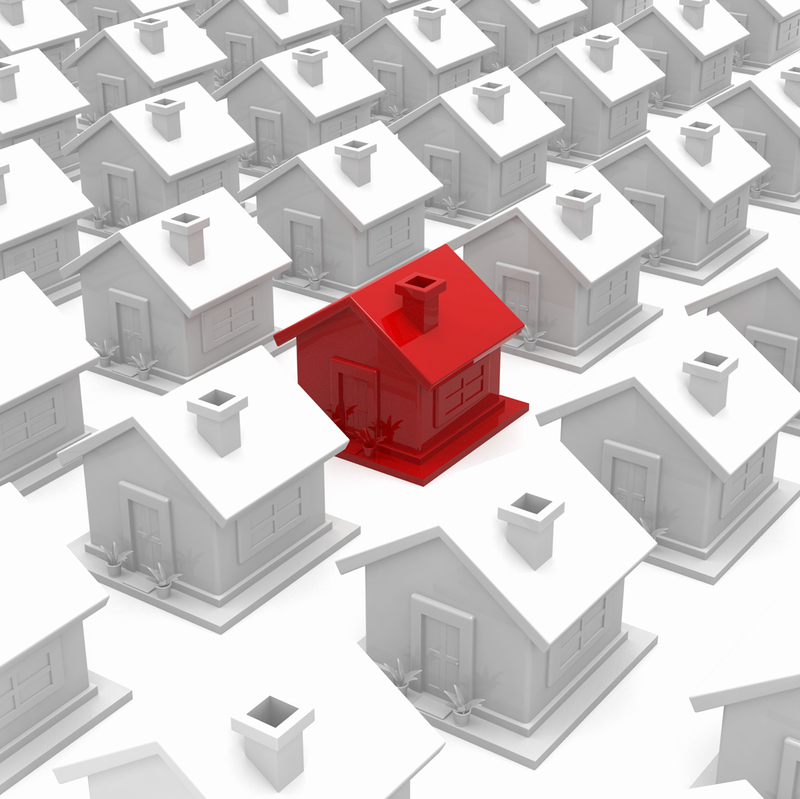 It’s about downplaying the negative features and emphasizing the positive features of a property. It’s about emphasizing the focal point of the room and making sure there is proper flow within a room and between rooms so it’s easy for buyers to navigate. How did you like working with_________? What do you think he or she did best? What are some of the things you feel he or she could have done better? Was he or she responsive, professional and reliable? Overall, how satisfied were you? Any advice for me in working with_____? 6. 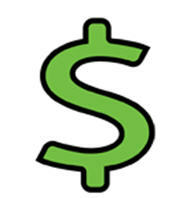 Fees – don’t choose a home stager because they are the cheapest of the ones you have called. Seriously consider all of the things listed here. 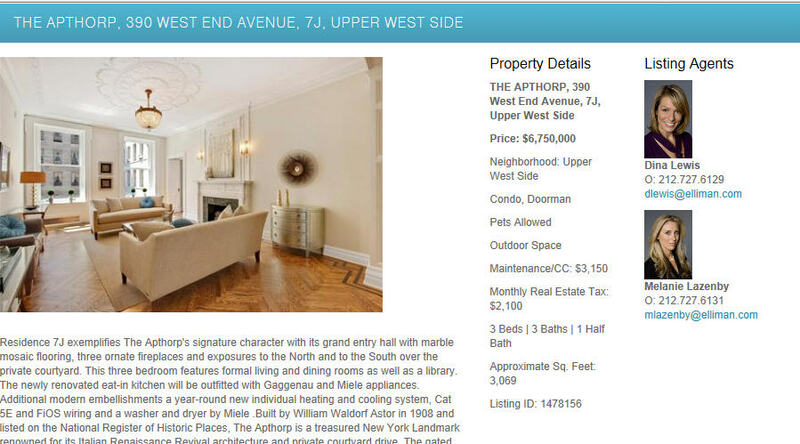 And don’t think that the one with the highest fee also means he or she is must be a great home stager. It could just mean that they have found they can charge this price and only deal with a certain clientele. If they offer free consultations, you have to ask yourself, why would they want to give away advice for free? Is it because they are desperate for business, or are you really going to be getting any good advice? If their bid for a vacant or occupied staging comes in much lower than others, it may be because they will be using inexpensive accessories or furniture or cutting corners to cut their time in the project. 8. Personality and Traits- Whether you’re a homeowner or a real estate agent, you want to make sure you will be able to work with the home stager. Do they have the type of personality you would get along with or one that might annoy you? Do they appear to be professional and serious? Have they been responsive to you so far? Did they return calls and emails promptly? If you are a real estate agent, how do you think they might talk to your clients when it comes to providing advice on sensitive things they need to change in order to get the home sold? Do you have anything you’d like to add to the list? Are there any points you disagree with? 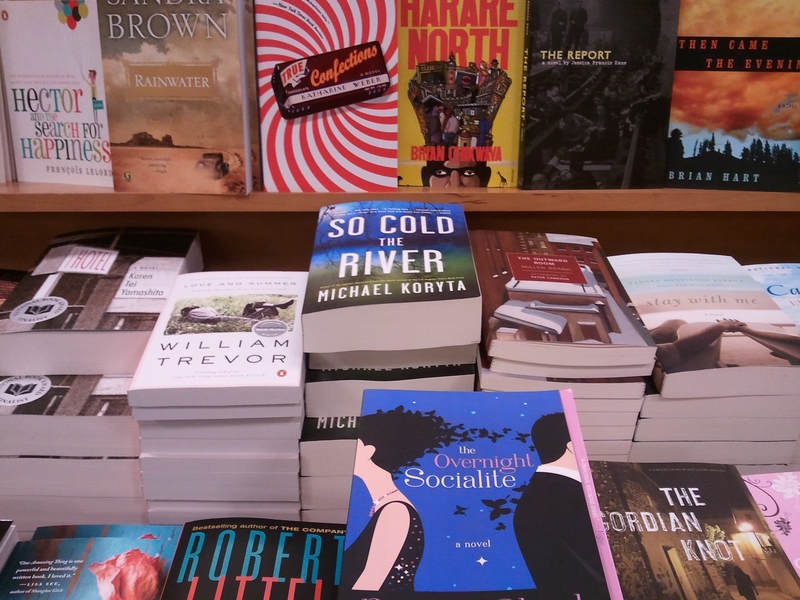 There it was — among the stacks of new fiction books on the table. I was immediately drawn to it by its cover. I could tell that it might just be my kind of book. So I picked it up and started reading the jacket. A recent segment on CBS’s Sunday Morning Show got me thinking about how staging a home for sale is like the careful thought and preparation publishers go into when designing a book cover. I have always said that staging is the art and science of successfully selling a home. Staging a home for sale with the right furniture, decorative accessories and artwork is also about creating an experience for the buyer. The goal is to connect to the buyer emotionally. You want the home to portray a lifestyle that the buyer is aspiring to. Just as publishers invest a great deal of time and money in developing the right book cover, home staging is an investment of the home seller’s time and money to properly position the property to the market in which it is selling. I may not have everything on your list, but does it really matter when it feels so good just being here? In the Sunday Morning segment, Peter Mendelsund who designs book jackets for the publisher Knopf, refers to a book jacket as a billboard. It’s the same with homes that are for sale. They are all shouting “BUY ME! BUY ME!” when a buyer looks online, but the home that looks the best is the one that is going to be seen. Staging a home will make it stand out from all of the others that are on the market in the same price range and neighborhood. © Copyright 2010 Designed to Appeal, LLC. All Rights Reserved. 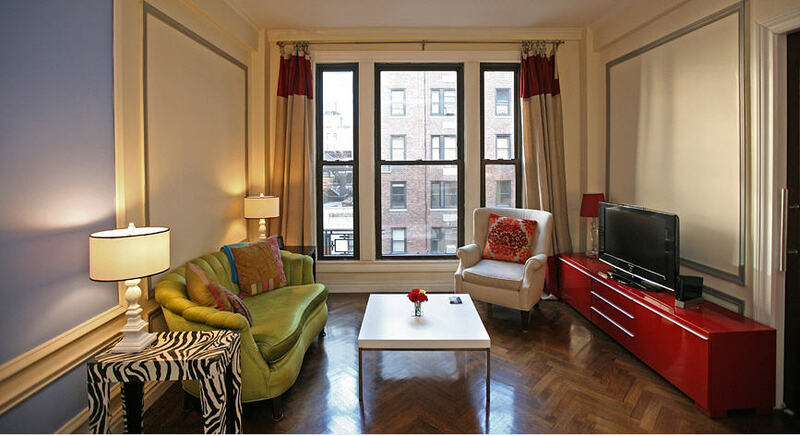 I was reviewing the New York Times weekly online feature, “On the Market in New York City” showing apartments for sale, as I always do each weekend, and once again found many examples of how these listings can benefit greatly by some expert and professional home staging advice. 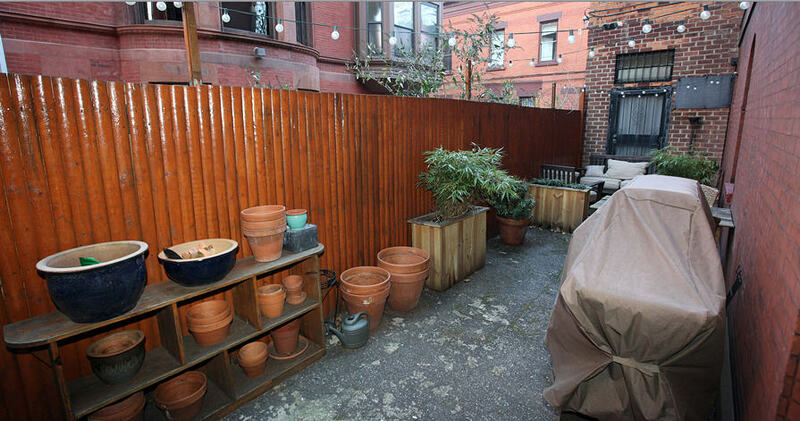 I know we have all probably seen worse photos of homes for sale, but after all, these are featured properties in the Sunday New York Times! 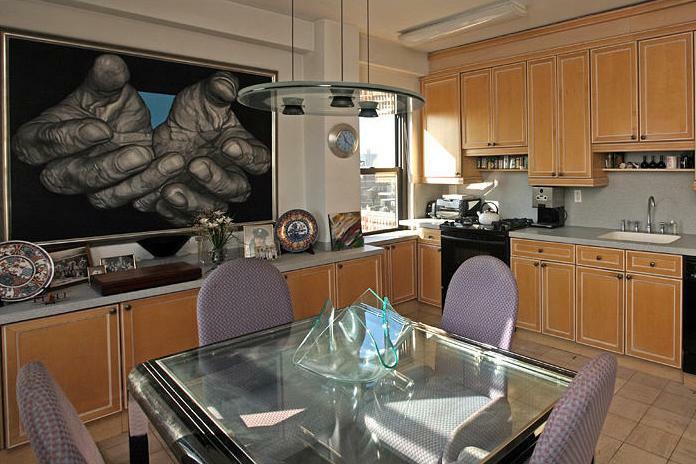 The artwork in this kitchen (below) is so HUGE, both in terms of the size of the piece of art as well as its subject, a pair of hands, that a buyer’s eyes will immediately go towards it, rather than the kitchen. This is such a huge distraction. Also, the counters have too much clutter: Pare down the knickknacks on the counter under the art, and limit counter appliances to no more than three. Come to think of it, an updated dining set and lighting fixture would also help. 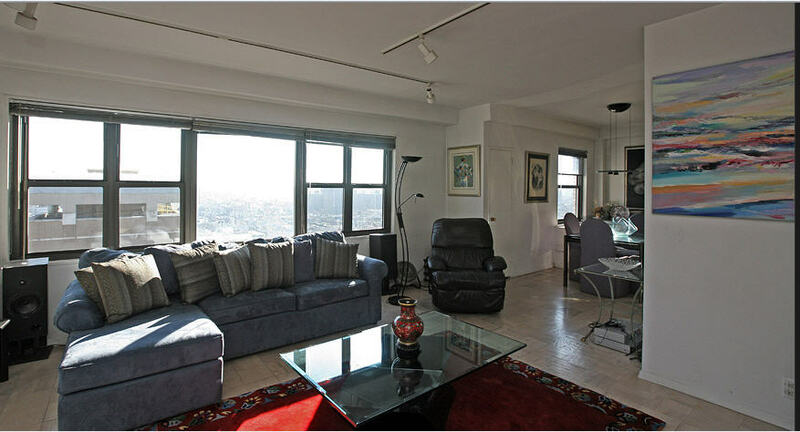 Continuing with this same apartment, this living room (below) could certainly benefit from removing the easy chair. It’s unnecessary and is crowding the room and impinging on the kitchen, never mind the fact that it’s unattractive. Also, place the area rug under the front legs of the sofa, not floating under the coffee table. 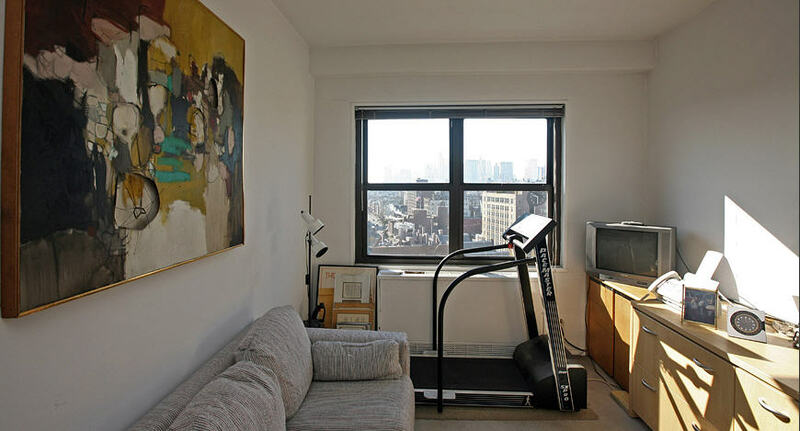 It’s best to keep exercise equipment out of the bedroom (below). In this case, it’s blocking the closet and tells the buyer there’s not enough room for anything in this apartment. 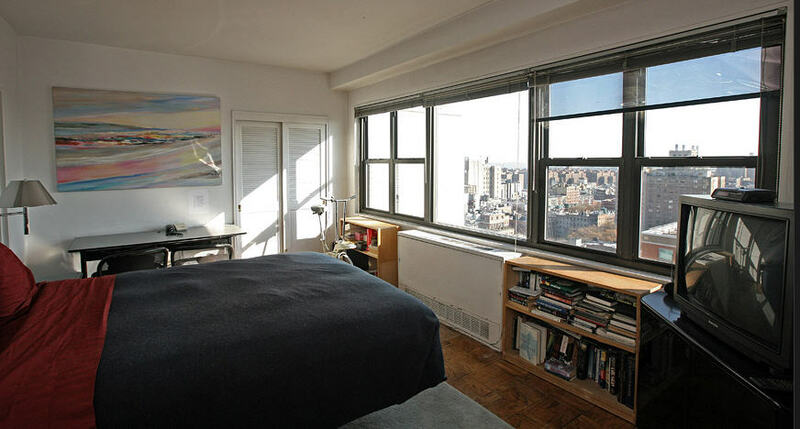 Also the messy and overstuffed bookcases are distracting buyers from the great view! 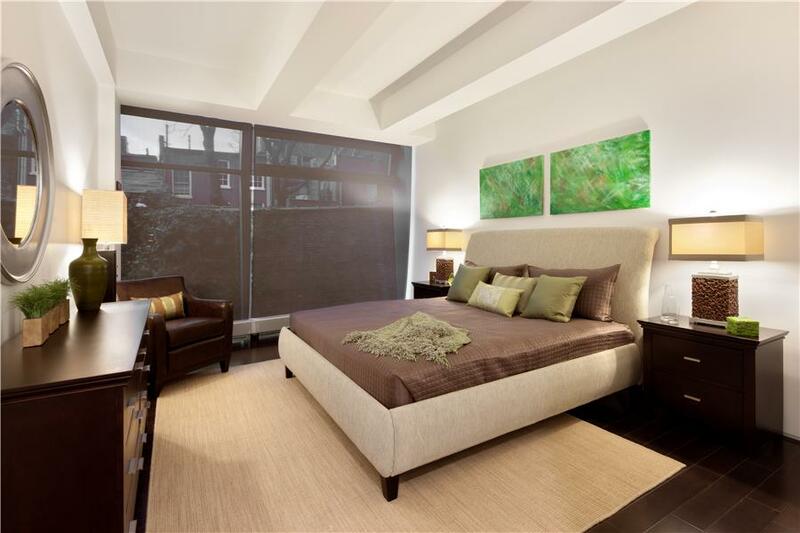 And as all home stagers know, it wouldn’t hurt to invest in some nice bedding and throw pillows to make a buyer envision themselves relaxing on this luxurious bed, taking in the view. And finishing up our analysis of this same apartment, what room is this? A study? Excercise room? Den? Guest room? One cannot tell. Each room should have one purpose and one purpose only so as not to confuse the buyer or send the buyer the message that the apartment is so small that four functions need to be shoved into one room. 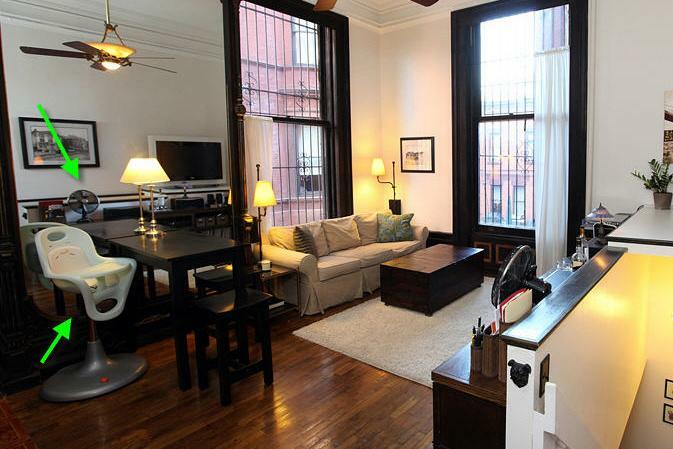 Moving onto the next apartment for sale, a duplex in Brooklyn. 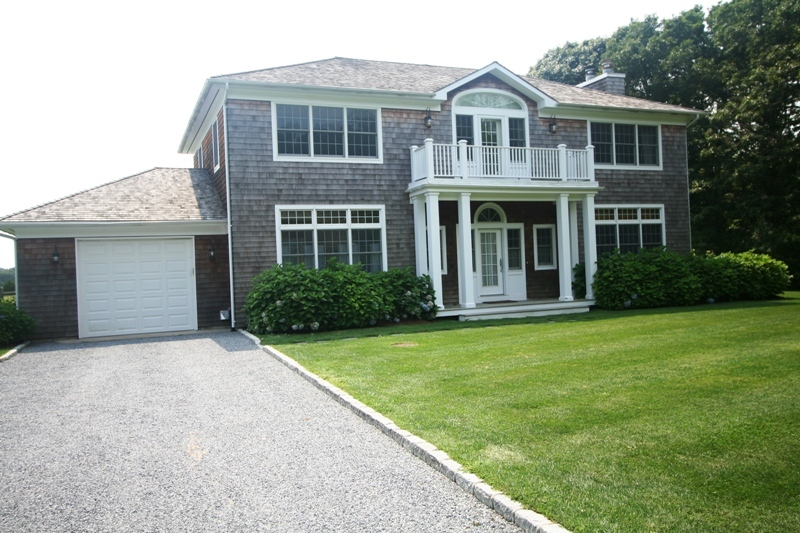 I am sure this is a very nice home, but without any staging, it is not shown to its fullest potential. For example, the living/dining room (below) photo shows a high chair in it. Not only is this unattractive, but homes for sale must appeal to the broadest range of buyers so that they all can envision living there. A childless older couple or a single person cannot picture themselves living in an apartment that screams “A family lives here!”. Also, the fans on the console and across the room (lower right corner) tell the buyer this apartment must have air circulation issues, or worse, is hot. Moving onto the bedroom. Keeping the crib in the master bedroom (below) tells a potential buyer with children that there’s not enough room for them in this apartment. 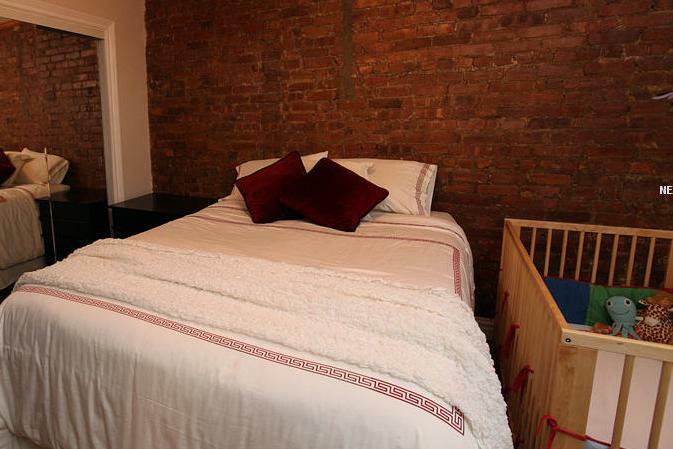 It may be that the crib is in the bedroom because the parents want to be near their infant, but it should definitely not be shown in a photo, nor during an open house or viewing. Also, I’m sure other home stagers would agree, this bedroom could benefit from the addition of a table lamp on the nightstand and a piece of art over the bed to warm things up. Is that a play pen I see in the foyer (below)??!! This is totally unacceptable. 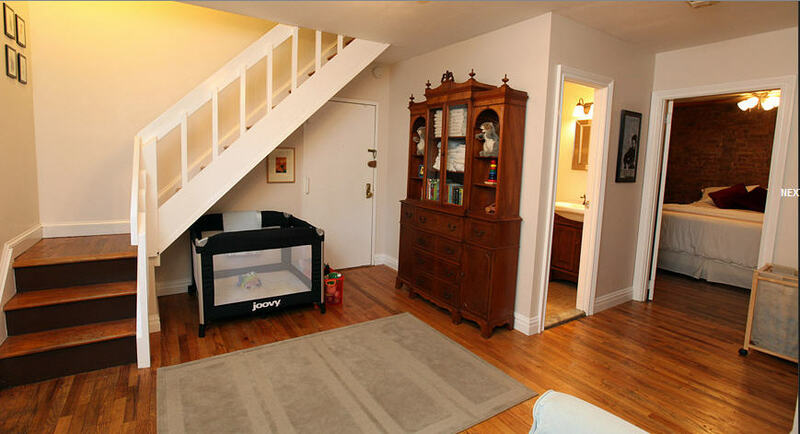 Not only does a potential buyer stumble upon this when walking through the front door, they are also told “there is not enough room in this apartment for your baby’s things”. When stepping out onto this patio (below), buyers should think “Aaah…I can’t wait to be sitting out here relaxing and reading my book or entertaining my friends”. 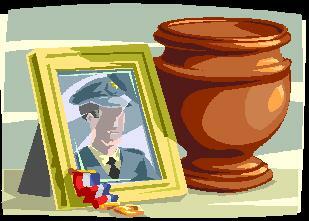 While I know it’s winter, do we really need to see the collection of empty pots? These should be stored away and out of view. 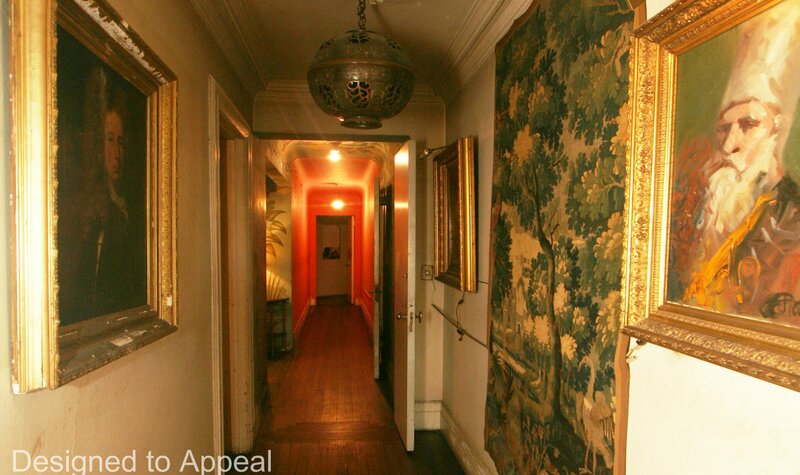 If possible, the furniture at the far right end should be brought here so it is the first thing the buyer sees. And last but not least, I love the furniture in this living room (below), but it is too young and hip and colorful (red, blue, green, black, white) to appeal to the broad range of buyers. The red console and the zebra end table at the very least should be replaced with more neutral pieces, and the blue wall painted a more neutral color. As they say, a first impression is a lasting one. If your home doesn’t look good from the outside, buyers are going to believe it doesn’t look good on the inside either, so they’ll just drive away, or not click on your online listing to see the interior photos. Lastly, with outdoor space, even if it’s just a terrace in a condo or high-rise city building, buyers are buying EXTRA SQUARE FOOTAGE, so the outside space should receive the same care and even staging that is done on the inside of the house. The first thing to do is to clear away the “clutter”. Then, do some easy, but impactful “wow” factor transformations. Repair cracks in foundation, sidewalks, etc. 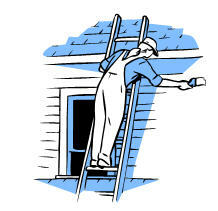 Repair any doors to garage, shed, outdoor shower, pool house, pool equipment storage, etc. 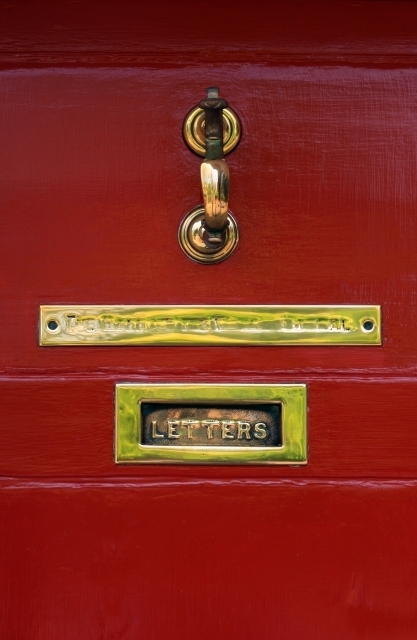 Paint the front door a contrasting color to the house such as red, maroon, black, etc. This is one place where it’s OK to use a bright color when selling your home. Add huge pots of color with flowers (in every season if possible) to at least the front steps, if not also the patio/deck. 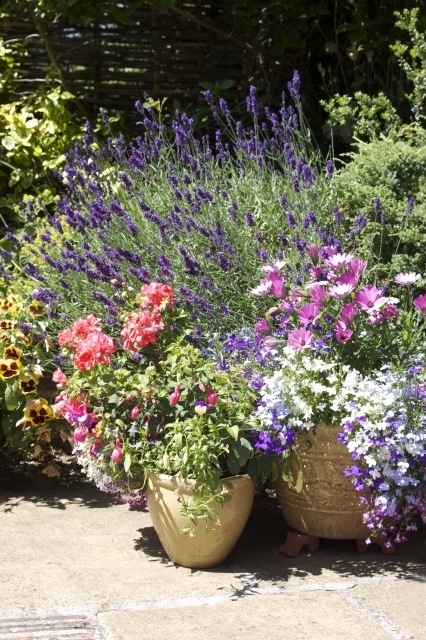 Plant flowers in the front and back yards – flowers do wonders! 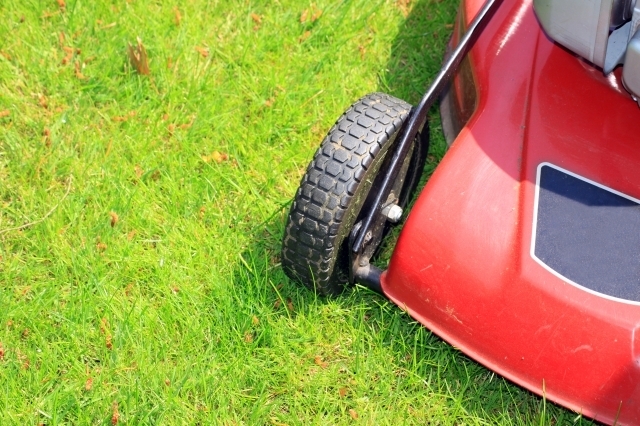 Do you know of any other things homeowners can do to enhance their curb appeal? You don’t have to spend a lot of money on hiring a home stager. If you are willing to do the work a home stager recommends yourself, then a few hundred dollars investment in a home staging consultation can result in thousands of dollars of return in selling your home and/or thousands of dollars in savings on mortgage, maintenance and taxes as the home could sell sooner than if it had not been improved prior to putting it on the market. 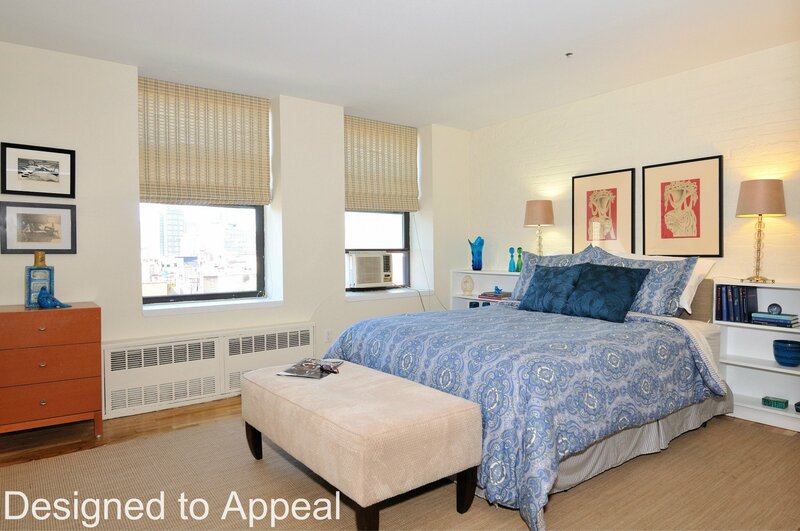 Recently, we received a call from Nancy E. Love, Associate Broker and team member of the Elaine Clayman Group at Brown Harris Stevens to do a home staging consultation at a studio apartment in Brooklyn Heights, New York. So, Designed to Appeal came in and spent two hours at an investment of only $300 and left the homeowner, Jack LaFata, with a list of things to do and to purchase. Some homeowners ask us to do all or some of the work, but Jack wanted to do all of it himself. So he had the apartment painted, decluttered and put things in storage and went shopping for new bedding, throw pillows, a rug and other items. He spent about $1,950 on this and $80 per month in storage, so his total investment in staging, including the consultation, was only 0.7% of the list price. And it paid off. The results were dramatic as you will see in the pictures below and he should be proud of himself. Jack received a full price offer during the first week at a private showing, but this ended up not going to contact. He then received an executed contract less than 40 days from the time the apartment went on the market, at 95% of asking price. In a previous blog, I addressed three common objections from both real estate agents and home sellers to staging a home when it’s for sale. So if you find yourself or your clients asking the following questions or stating these objections, carefully consider these answers before you make that final decision not to stage. The real estate agent should be spending his or her time doing what he or she does best – marketing and showing the home to potential buyers and renters. Wouldn’t a homeowner rather know the real estate agent is doing this instead of spending hours rearranging furniture, shopping for accessories, and managing repairmen? Owners can’t stage their own homes because they’ve stopped seeing all of its flaws. Most homeowners don’t have the “buyer’s eyes” that a professional home stager will when walking through the home. The owners have gotten used to walking past the overgrown bushes in the front yard blocking all of the light from coming into the windows. 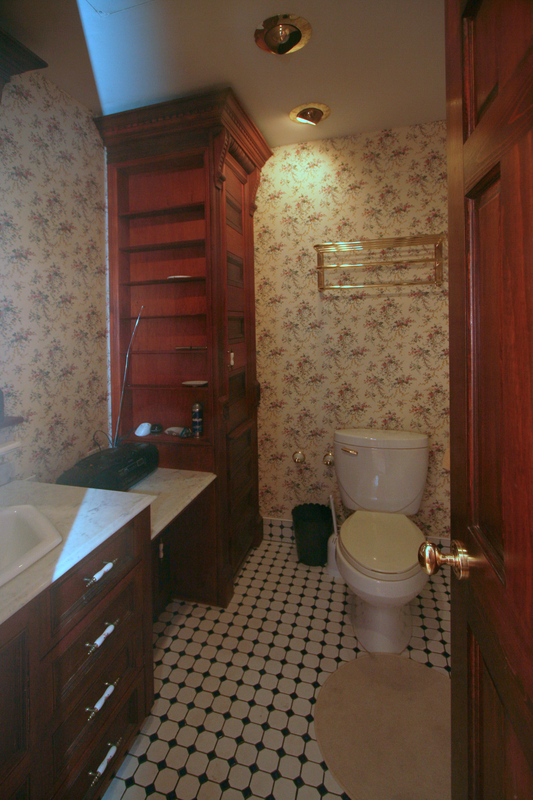 The dated wallpaper and lighting fixtures have been in the bathroom so long that they seem to be part of the family. And homeowners may already be overwhelmed enough with the stress of finding a new home and moving that they won’t have the time or energy to focus on making the home look appealing. Do you know if they sold at asking price? 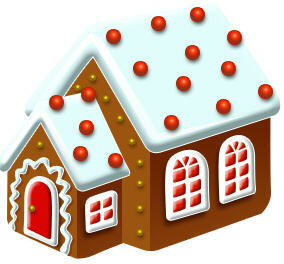 Perhaps the owners had to sell for less than what they were asking for because their house looked less than desirable. 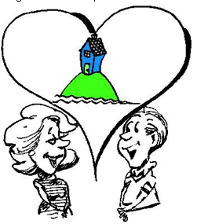 Do you know how long the home was on the market? Why take that risk? Staging works. According to the Real Estate Staging Association’s 2009 study, both occupied and vacant homes that were on the market before they were staged spent 78% less time on the market after they were staged. That’s great that the homeowner has already gone ahead and decluttered and cleaned. However, staging is much more than that. A professional home stager can see things with a buyer’s eyes. 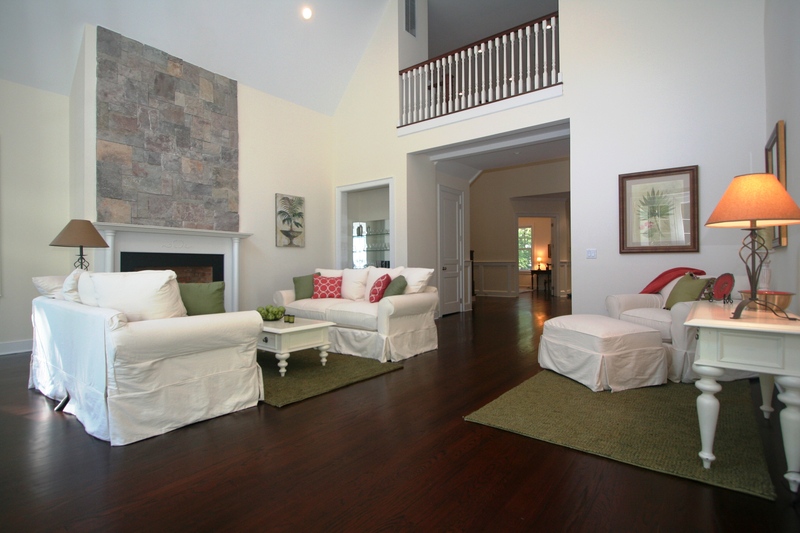 Staging highlights the best features of a home and downplays the negative features. 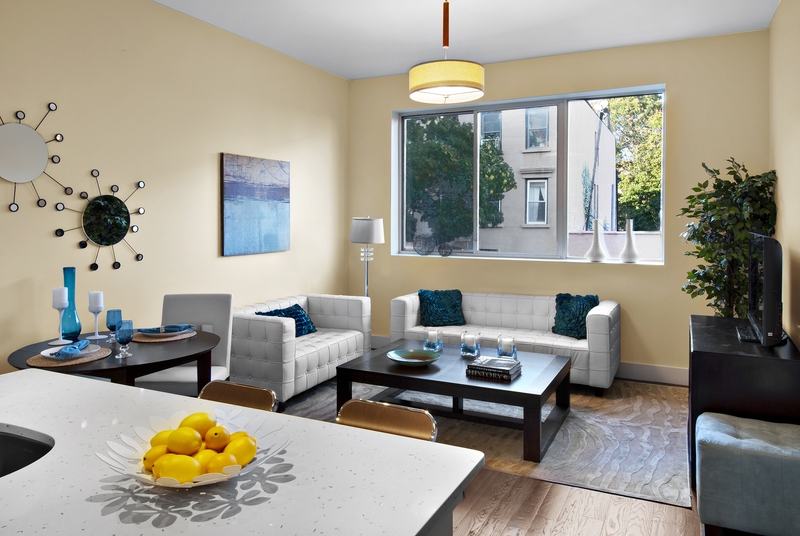 Staging ensures that the home appeals to the broadest range of buyers. It’s a product to be marketed, and a professional home stager will help you market it to its highest potential. A few months ago I was contacted by Jessica Flagg, a real estate agent with The Corcoran Group. 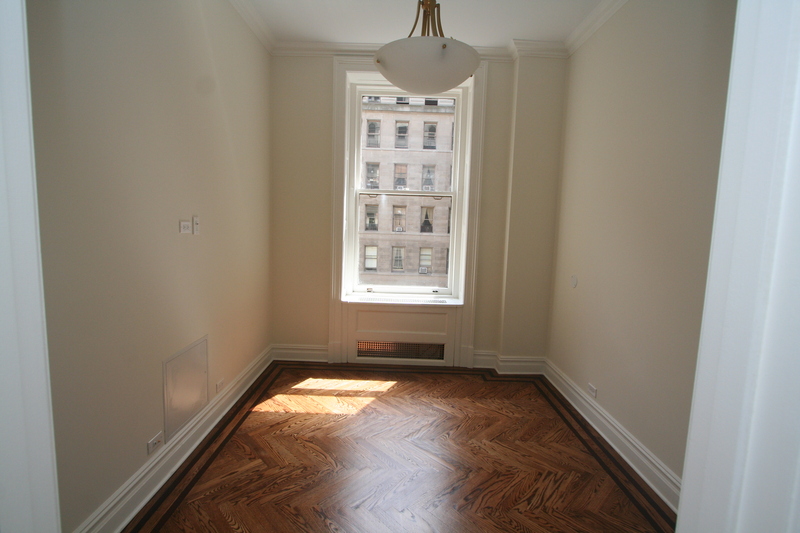 She told me she had spoken with her client and that her client had agreed to having a home stager come in to do a consultation on her soon-to-be listed Carnegie Hill apartment. “I doubt you’ll need to be here for more than a half hour. We really just need to figure out what to do with the dining room that I’m using as an office”. I told her my minimum is 2 hours, and I’m sure we can find some other things to do. The apartment went into contract in 50 days at full asking price!. Here are some before and after pics of the transformation. Whether it’s your home for sale or your client’s home for sale, not every seller is convinced right off the bat that staging the home is something as necessary as getting a home inspection or a pre-approved mortgage is for the buyer. So if you find yourself or your clients asking these questions, carefully consider these answers before you make that final decision not to stage. 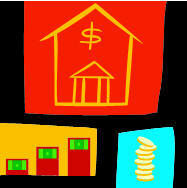 The softer the market, the more you must differentiate the property from others crowding the market. Wouldn’t it be great to get a bidding war going because your property looks so much better than everyone else’s? 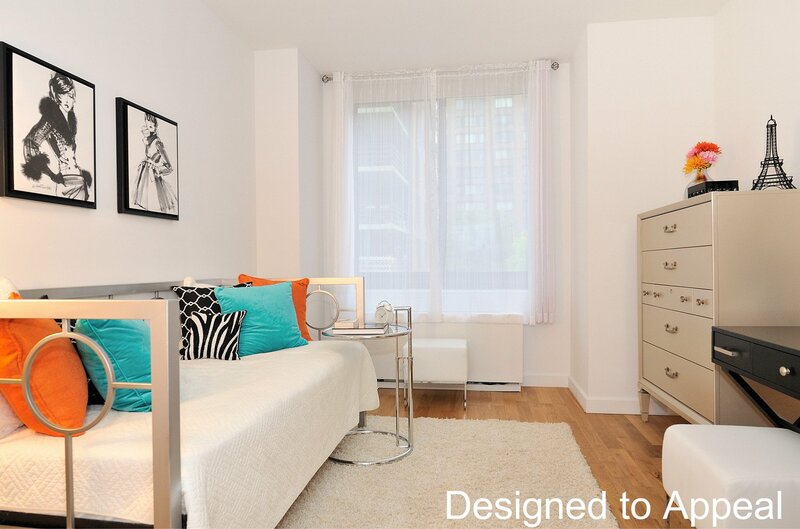 Remember, staging is an investment not an expense. A study by the Real Estate Staging Association showed that homes that were staged after being on the market for a while, spent 78% less time on the market than before they were staged. Home staging can increase profit in two ways – by increasing value and by reducing expenses (mortgage, taxes, utilities) by decreasing the time the home is on the market. And according to the National Association of Realtors, the longer the home is on the market, the lower the selling price will be. Only 10% of buyers can visualize the potential of a home. 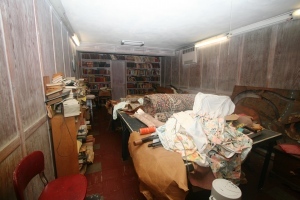 Most buyers cannot look past a cluttered or unappealing room. And while most of them start out looking for a home based upon logical criteria, for example, 4 bedrooms, family room with a fireplace, they end up purchasing based upon an emotional connection they feel when they’re in the home. When a house feels like home, they will reprioritize their list. They may be willing to give up the fireplace because staging has transformed the property into a “dream” and they can envision themselves living there. It has to portray a lifestyle they aspire to. Every home that’s for sale can benefit from the objective eye of a professional home stager. 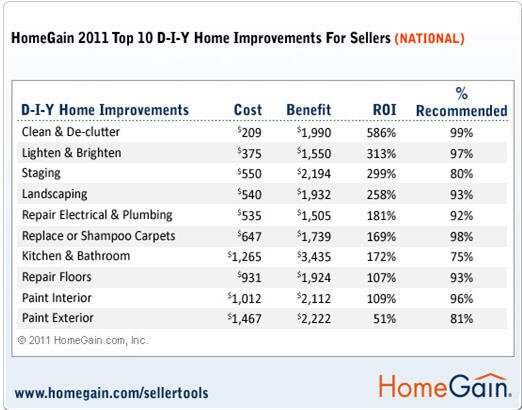 Most homeowners are so used to their home’s flaws they don’t see them anymore. Also, you cannot view your own home through a buyer’s eyes. 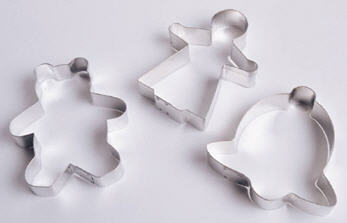 Once your home is on the market, it’s a product that needs to be positioned just like any other product on the market. And it’s not about your taste anymore! 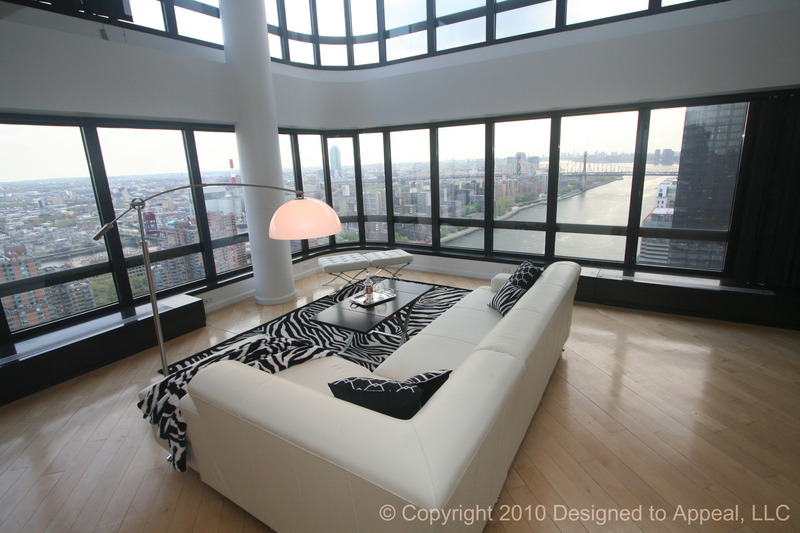 Home Staging New York: Convince My Clients to Stage Their Homes? What’s In It For Me? As a real estate agent, you may be wondering why you should make the effort to convince the homeowner whose home is on the market to stage their home. 1. Gives You More Control – That’s right. Here’s a common scenario for you – the seller may desire a certain dollar amount for the home but you know that unless some changes are made, the seller won’t get it. 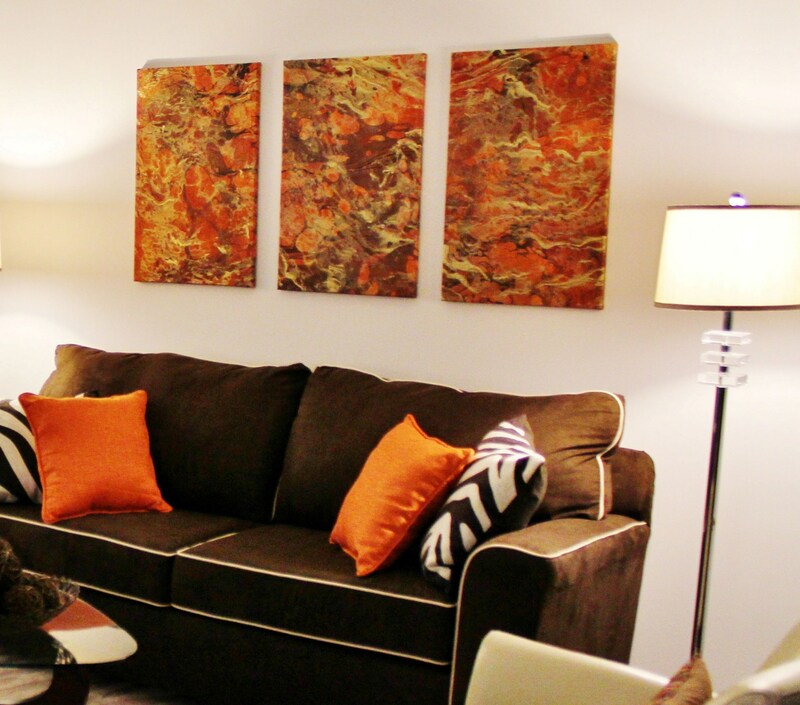 By incorporating the home staging process, you are controlling more of the outcome of the sale. 2. Gives You Credibility – When you bring in “experts” who do this for a living it adds to your own credibility. 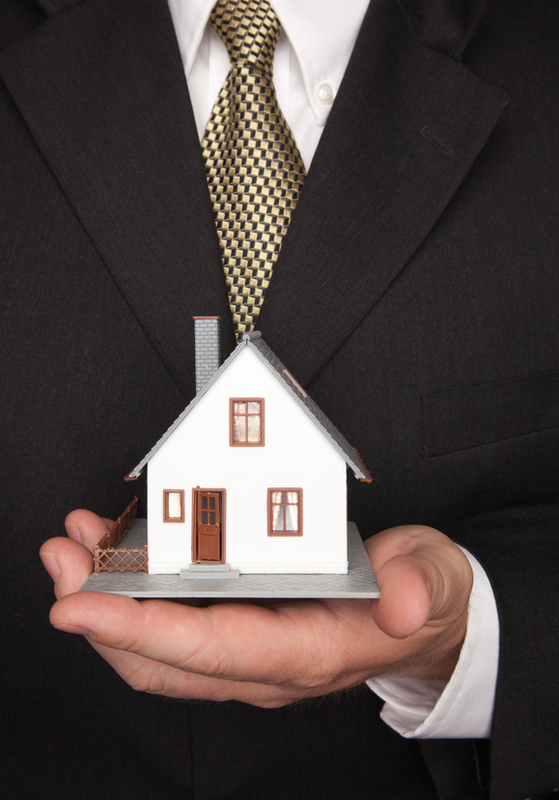 Would you seem credible if you also appraised and inspected the homes that you sold? No, it waters down your expertise because people know you can’t be an expert in everything! When you’re focused on your own field of interest and outsource to professionals it gives you added credibility in what you’re good at – selling homes! 3. Listings That Show Well Reflect Well on You – Wouldn’t you rather be the agent who’s known to always have beautiful, attractive, updated, neat and clean homes to sell than the agent who always seems to get stuck with the unattractive homes to market? 4. Differentiates You from the Competition – You believe in doing everything possible to sell your clients’ listings and you are one of the few agents who have a full team of professionals, including a home stager, to help you do so. 5. Protects Your Relationship and Listing – You have to have a strong client relationship that gets you through the entire process. Home staging is a form of constructive criticism that sometimes addresses hard, personal issues like smell and cleanliness. Your clients EXPECT a professional stager to instruct them on these issues but are not completely comfortable with you as their real estate agent doing this. 6. Greatly Improves Your Outside Marketing Campaign – The time, effort and money you spend on marketing the home on the outside will be twice as effective when you have photos of beautifully staged rooms (with updated accessories) vs. empty rooms, or worse, unattractive furnishings. With over 90% (according to NAR) of home buyers searching the Internet FIRST, it’s critical that your home marketing photos be outstanding and have impact. 7. 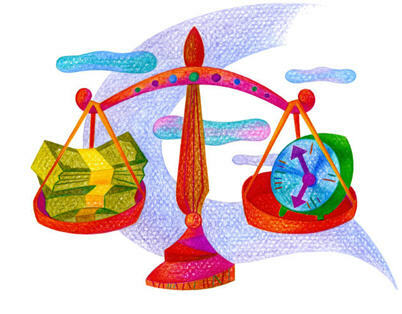 Gives You More Money – Home staging is pure economics. When you improve upon a product, you increase the demand thus raise the price. Higher sales price = higher commission. 8. Makes You Sell Listings Faster – Buyers have MANY home choices in today’s market and they want a home that is turnkey ready. Statistics show that staged homes sell faster than unstaged homes. 9. Less Time on the Market Improves Your Reputation – In a National Association of Realtor Profile of Sellers it was reported that over a quarter of seller’s MOST IMPORTANT EXPECTATION is that their real estate agent will sell the home WITHIN a specific time frame. In today’s market, that’s not an easy task among the many homes available UNLESS your listings stand out. In a referral-based industry, happy clients mean more listings and the reward of a job well done. 10.Gives You MORE Listings – Happy clients talk and when over 40% of sellers find their agents through referrals, expect more listings! 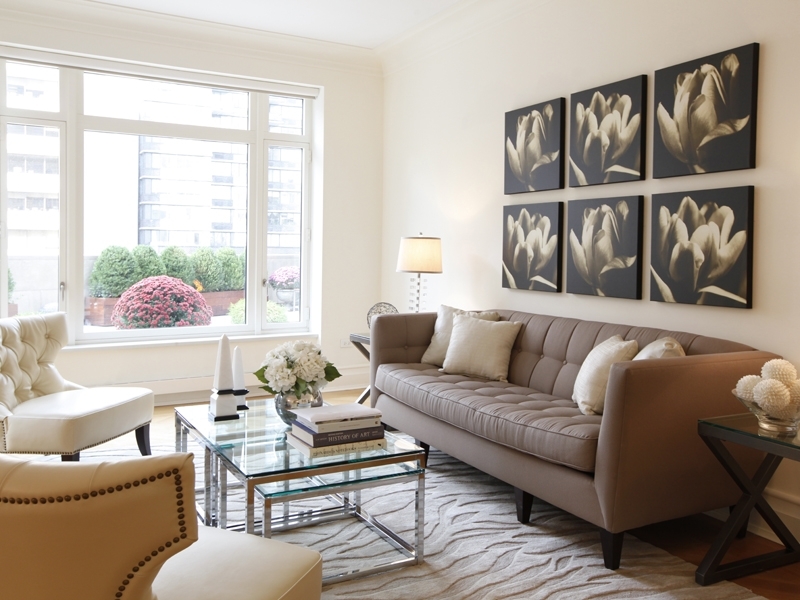 Incorporating home staging into your selling process makes you more value-added to potential clients. © Copyright Designed to Appeal, LLC 2010 All Rights Reserved. 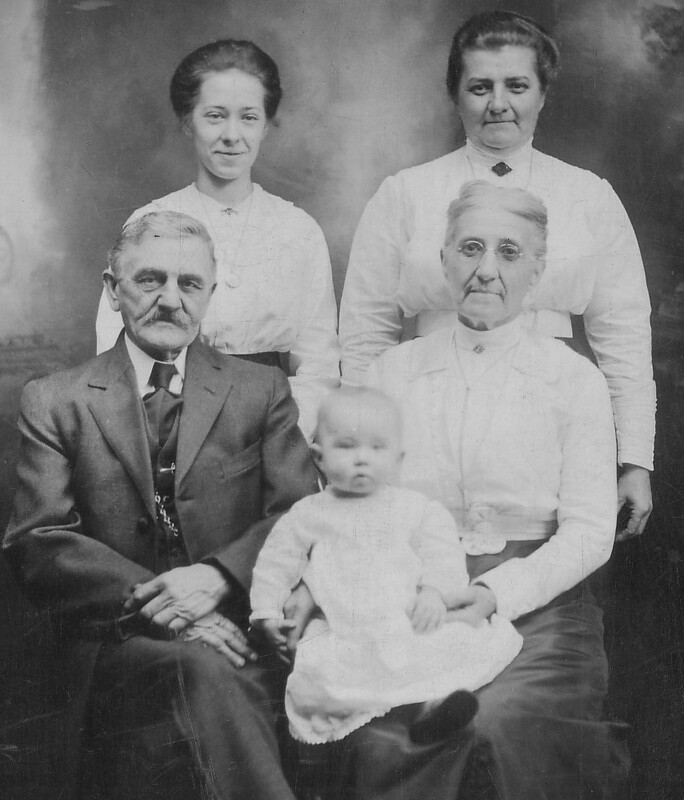 In 1973 a film entitled “Don’t Look in the Basement” was released. It was originally entitled “The Forgotten” in reference to the ignored patients of an insane asylum, but someone thought it would attract more movie goers with a new title. After all, basements can be creepy. Dark, dank and dirty is what usually comes to mind, never mind those hidden corners where something just might pop out! Well, perhaps “The Forgotten” was an appropriate name after all, since basements are one of those areas in a home that is often overlooked when staging a home for sale. Basements, whether finished or unfinished, add valuable square footage to the house. Consider renting a storage space for items that you are keeping but won’t use or need in the next 6 months, especially if you are considering renting storage for unneeded furniture and items in the rest of the house. It may be worth it. At the very least, buy moving boxes and begin packing. Or purchase plastic storage bins with covers as you can probably use them for storage in your new home. Stack the boxes or bins neatly, or even better, purchase metal shelving to stack them on. Is that a ping pong table underneath all that stuff? The basement should be cleaned thoroughly. You want to remove the “yuk factor” when buyers view the space. Sweep and mop the floor, or vacuum the carpeting. Make sure you remove cobwebs and dead bugs from corners and along the ceiling. Clean the windows and remove excess vegetation from outside the windows to let in as much light as possible. Open the curtains, if any. Wipe down exercise equipment, ping pong table, and anything that has collected dust. 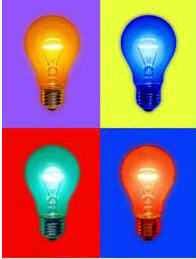 Install extra lighting, even if it’s a bare bulb and pullchord, in dark corners or areas. Paint the floors of an unfinished basement (check with your paint store for the best product). It makes the room brighter and cleaner in appearance. And it doesn’t have to be the typical gray. 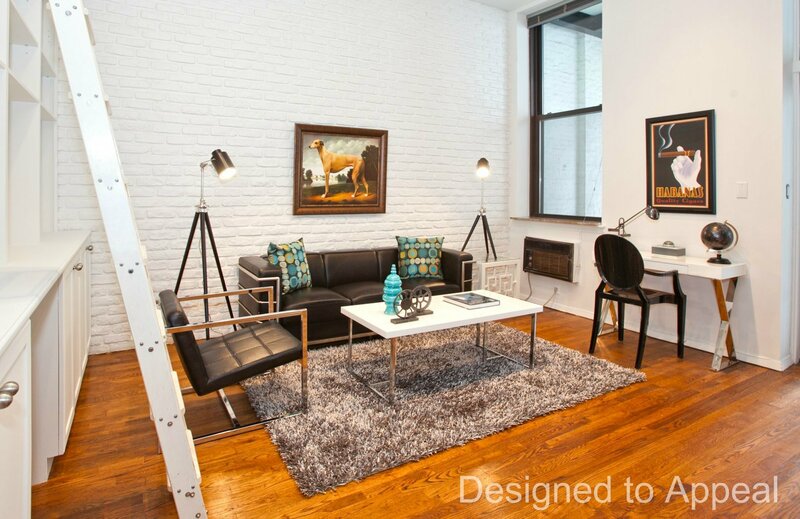 A fresh coat of paint on sheetrocked walls also goes a long way in making the space appear clean and as valuable as the upstairs space. If your basement doesn’t have walls separating each room, it’s important to designate areas, each with a purpose. For example if you have excercise equipment or children’s toys scattered about, designate an area for each so that it appears that the basement has an excercise “room” and a children’s “playroom”. In the photo below left, the hockey table is mixed in with exercise equipment (pilates machine and bike). The hockey table should be grouped with the foos ball table which was in another area of the basement. In the photo below right, the bicycles are mixed in with a couch, rug and two chairs (out of photo). The bikes should be removed and this area should be set up as a den or living space. If the washing machine and dryer are in the basement, set up this area as a laundry “room”. Make sure this area is sparkling clean, since no buyer wants to do laundry in a dirty area. Set up an ironing board and iron and/or a table to fold clothes. Store laundry supplies neatly on shelves or in a cabinet. The same goes for other areas in a basement: home office, media room, workspace, arts and crafts space. Make sure each area is clearly designated. Buyers expect the basement to be dark and dirty. 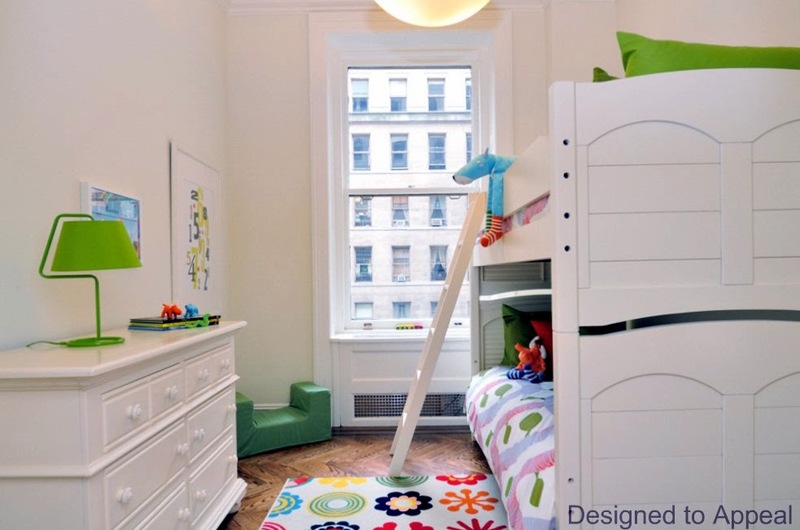 Why not surprise them with a clean, bright, organized and neat space? The buyers will also perceive that you are the type of homeowner that takes care of things and doesn’t neglect the ongoing maintenance of the house. One of the often overlooked rooms when staging your home for sale is the laundry room. Most homeowners, even those who know that the home must be decluttered, neat and clean when their home is on the market, often forget about carrying this into the laundry room. And those homeowners who don’t have a laundry “room”, but instead have their washer and dryer in the basement, fail to market this space in an attractive way. The laundry room, whether or not it’s an actual room, a closet, or an area in the basement, needs to be shown to its fullest potential. 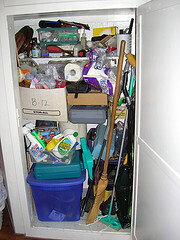 That means that the homeowner needs to show the buyer that there is adequate room for storing laundry detergents, etc. and for perhaps other functions, such as folding clothes and ironing. At the very least, there should be shelving above the machines where the laundry detergent, bleach, fabric softener, dryer sheets, etc. 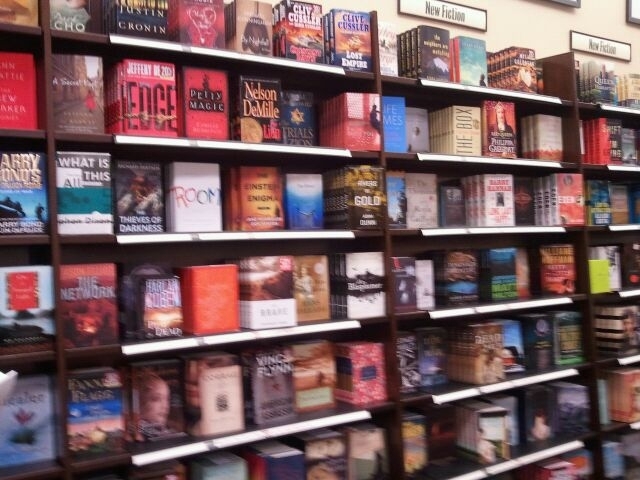 should be neatly lined up. I like putting these items in storage baskets for a neater appearance. The tops and sides of the washer and dryer should be clean. Wipe up any spilled detergents. 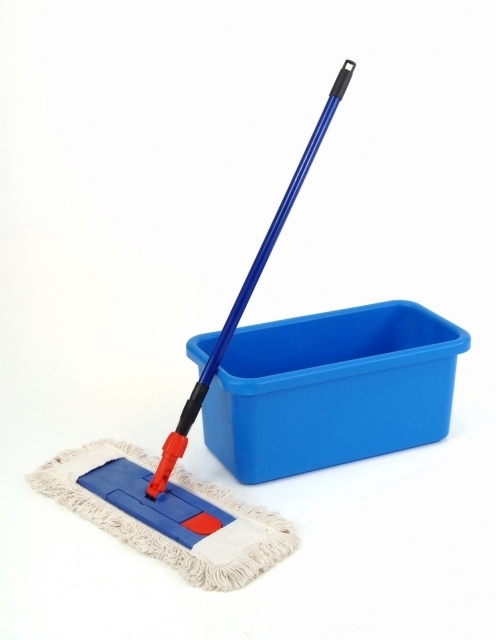 Also, if you are selling the machines along with your home, make sure you clean the underside of the washing machine lid and around the basket, as buyers will lift it up to look inside. The lint should be removed from the dryer lint screen. While a fresh coat of paint on the walls is highly recommended, at least wipe off scuff marks and dirt with Mr. Clean Magic Sponge. Especially when showing the home, there should be no clean or dirty laundry visible in the laundry room. Dirty laundry should be in the washing machine if not enough time to wash and dry, and clean laundry should be put away. 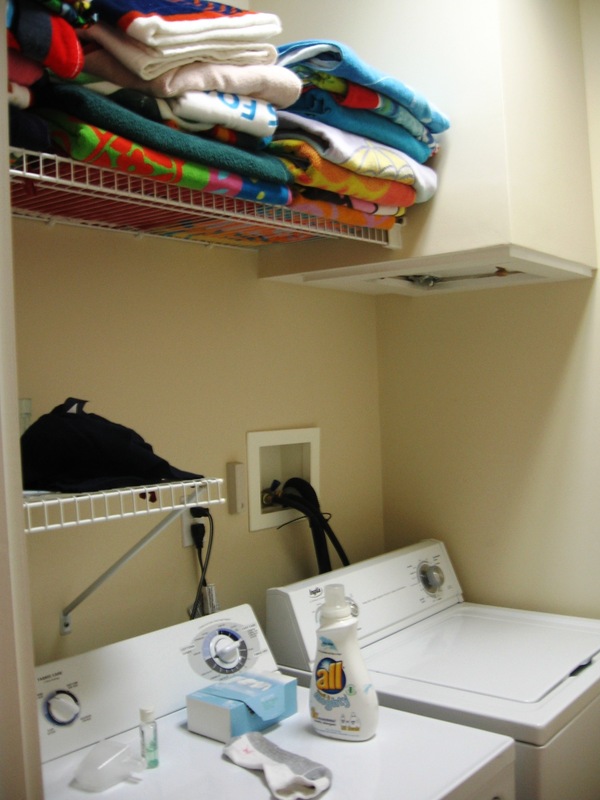 Sometimes laundry rooms are used as another junk or storage room in the house. This implies to the buyer that there is not enough storage in the home. Try removing anything unrelated to the purpose of doing laundry. If you can’t, make sure the items are neatly and attractively stowed away. Home sellers who have a washer and dryer in the basement often overlook the fact that this area needs to be staged. Don’t let buyers think that the home is missing a laundry room. Make sure the area around the machines is sparkling clean to get rid of the “yuk” factor, especially in unfinished basements. Set up an ironing board and iron to show that this area is a laundry “room”. If you are lucky enough to have a table or countertop to fold laundry, make sure this surface is free of any items. If there is enough room in the laundry room, set up an ironing board and iron to show that there is adequate room to do so. If the machines are in a closet without doors, an inexpensive way to hide them is to install a tension rod with drapery panels or even a tension shower rod and shower curtain. 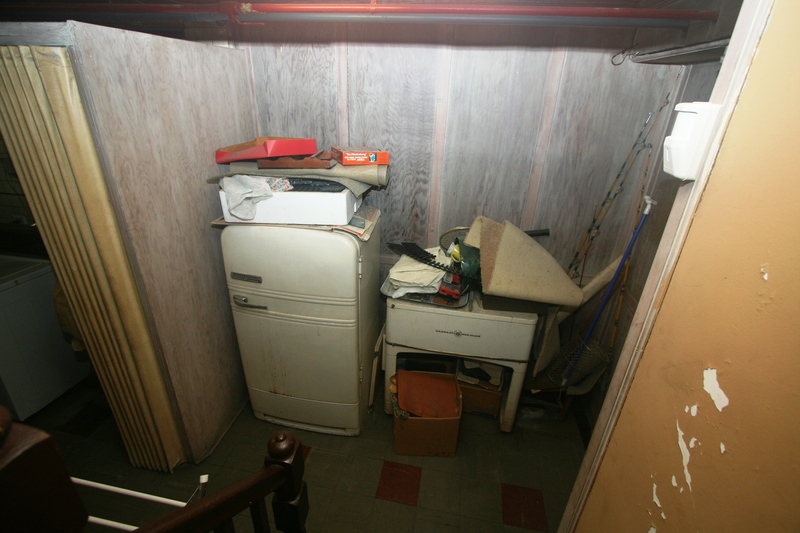 In this situation, the laundry closet held not only laundry detergent and related items, but also a lot of cleaning supplies and was very unsightly. We bought uniform, inexpensive, fabric-lined baskets to store these items. We also found these two laundry hampers in the pool house where they were going unused. We removed the table and clothing rack as these were taking up too much space in the room. The result was a clean and organized laundry room where a buyer might actually not mind doing laundry. Creating a comfortable conversation area in the living room is important so that people can face each other and can speak without raising their voices. Also, everyone should be able to comfortably reach the coffee table, or at least have an accessible side table. 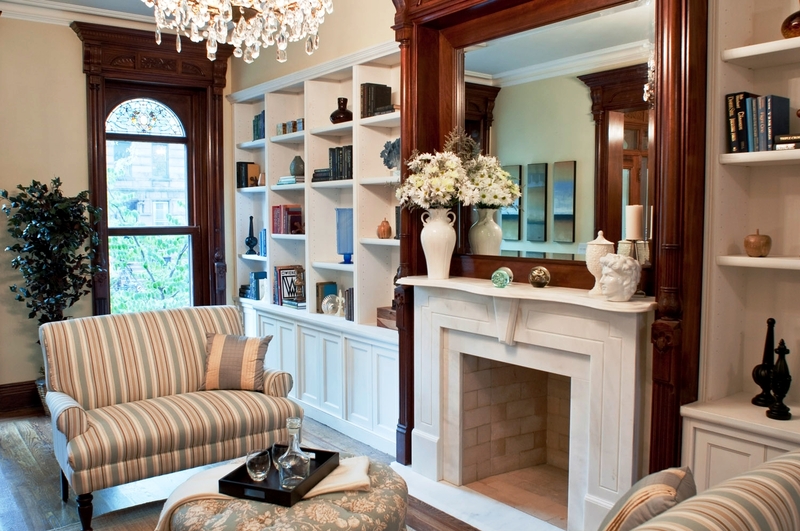 A conversation area can also help to establish a focal point in a room such as a fireplace. The furniture set up of the conversation area should also eliminate traffic flow through it so that conversation is not interrupted. The arrangement highlights the focal point, the fireplace. There is no traffic flow through the area since the entryways are to the top left and top right in the diagram. 1. Creating a conversation area frees up space in the room for other functions such as a separate reading area consisting of a club chair, ottoman, table and lamp or a working area consisting of a desk and chair. 2. Two sofas can be placed back-to-back with their own set of chairs and coffee table to create two distinct conversation areas.